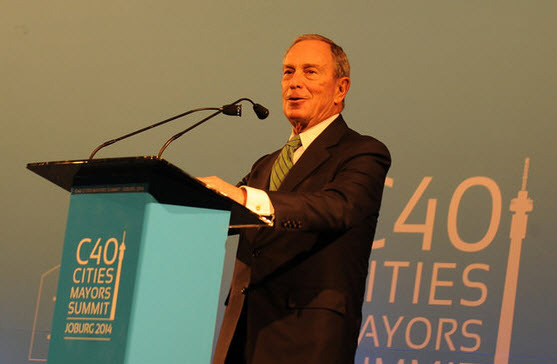 Bloomberg discussed how his time spent with C40 convinced him “of the power of cities to shape the global response to climate change”. Bloomberg points out that mayors have a “significant control” over many areas which contribute to carbon emission. So far C40 cities have taken more than 8,000 actions to reduce these emissions including PlanNYC, a program he launched as Mayor of New York in 2007, which has reduced the carbon footprint of NYC by 19% and added hundreds of acres of new parks.